One of the greatest wonders of the world – though known by few – is a place called “Baalbek,” a UNESCO World Heritage site located in eastern Lebanon. 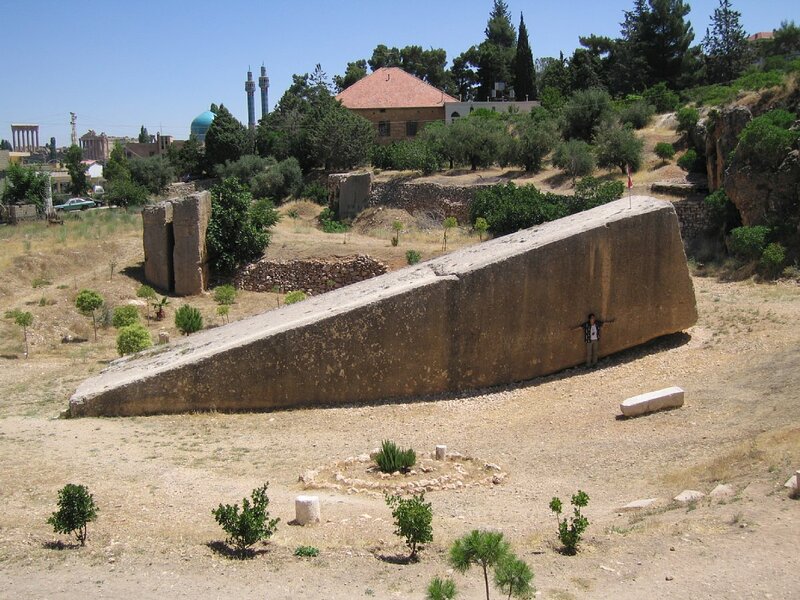 The massive rectangular stones that make up the base of Baalbek have puzzled researchers and archeologists for centuries. These colossal rocks, cut with exacting precision and placed flawlessly in a platform jutting off the side of a hill, have defied explanation. They are certainly larger than any known “worked” stones in the world, with some weighing more than 1,000 tons – that’s right – tons. As in two MILLION pounds. So big and so heavy that even today we do not have machinery that can lift them. 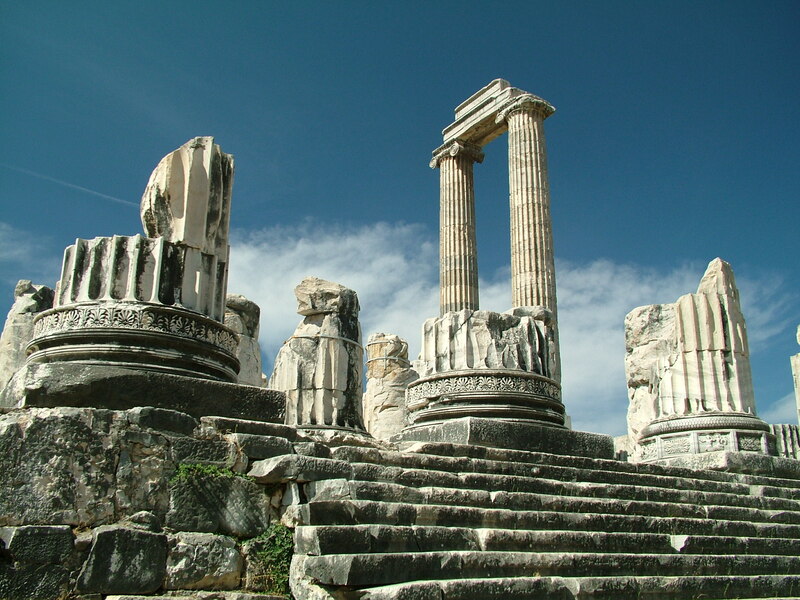 Over time, various cultures came and built temples on top of these perfectly placed stones. The early Canaanites called the area the “Temple of Baal-Hadad” or the “City of the Sun God.” The Romans built their own temples on top of the stones, calling the area “Heliopolis.” The Arabs came and built mosques, the Crusaders built a fort and the Turks eventually took possession as well. It seems that everyone who passed through the region wanted to claim Baalbek and establish religious and cultural ties to the site. 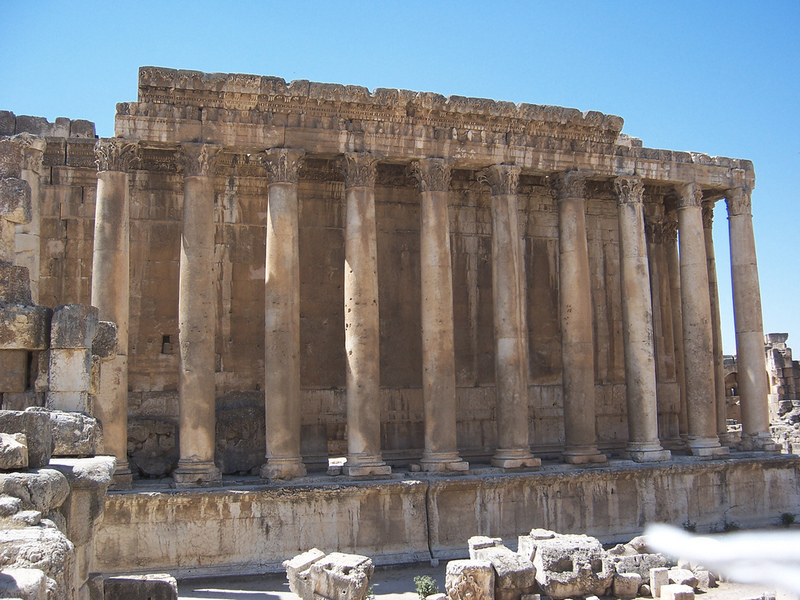 There are many unanswered questions surrounding Baalbek: Why would the relatively small, primitive, agricultural community believed to have inhabited this area of Lebanon, take on the task of building Baalbek? Where did they get the engineering knowledge and tools to construct it with such precision? 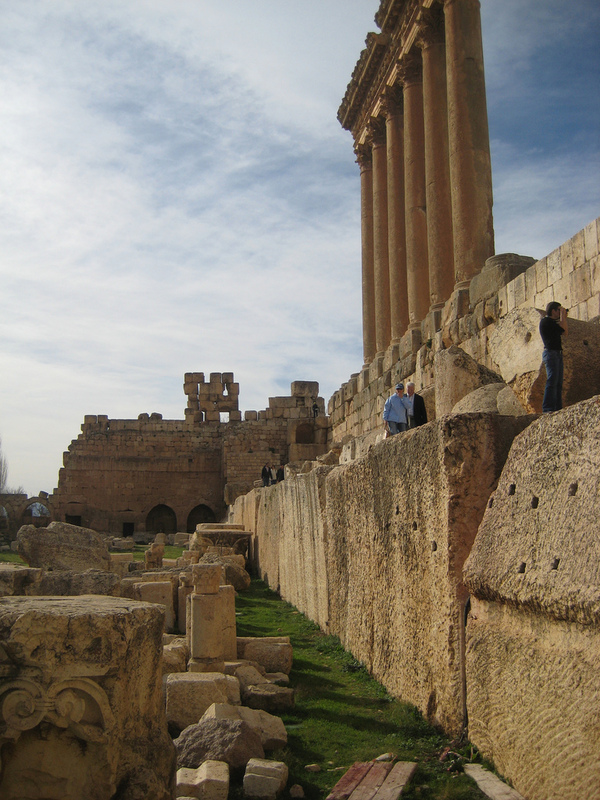 What possible benefit did they derive from the nearly impossible challenge of creating Baalbek? And most of all, how in the world did they lift these stones? 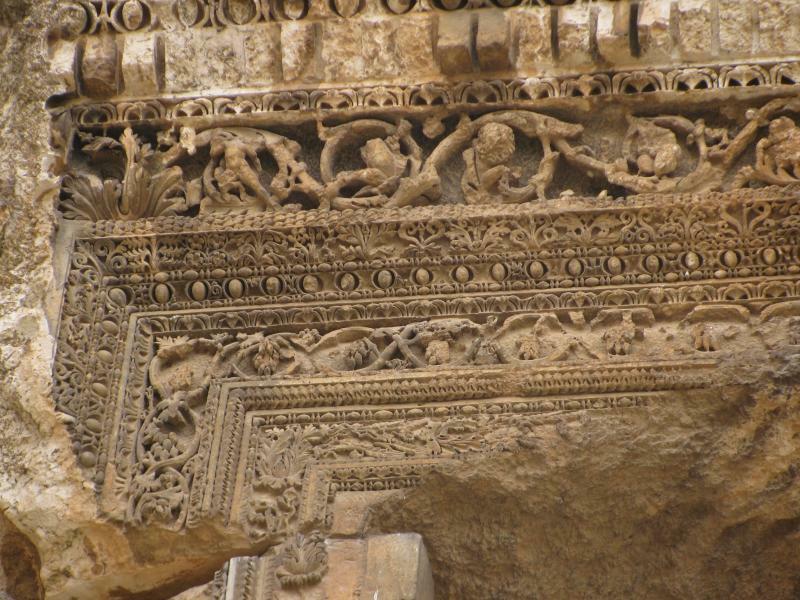 The following links will take you to some of the many websites that explore Baalbek and its history. Make sure you look closely at the photos because it is only then you will see the occasional person standing near the foundation and realize just how incredibly huge the stones are. One of my favorites is this picture of a stone half out of the ground as if left behind by mysterious masons who were somehow abruptly called away from their work. Notice the man standing against the rock near the lower right hand side of the photo. Certainly Baalbek, like “Gobekli Tepe” in Turkey, is causing the world of archeology to rethink its assumptions about the past and when civilization, as we define it, actually began. Meanwhile the search continues for answers to how and why these ancient sites were built and for whom.